The new lease-holders on the Long Island Restaurant space on Atlantic Avenue have returned the iconic space's neon signs to their rightful place on the east and north sides of the corner building. The signs were removed back in June. Many thought they were gone for good. But the people who plan to open a new restaurant and bar in the old space—which has lain dormant for many years—reassured the concerned public that the signs were being refurbishing at the Manhattan neon outfit Let There Be Neon. 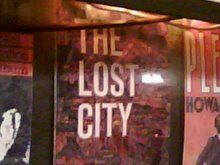 Lost City Asks, "Who Goes to La Grenouille?" 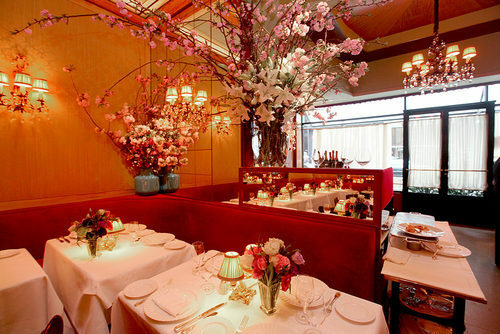 It took me 25 years of living in New York to get to La Grenouille. Now that I've been, I will be back many times. It easily established itself within five minutes as one of my favorite New York restaurants. There's some sort of magic going on in that beautifully lit, flower-strewn place—a combination of lighting, service, decor, food, conversation and company—that makes life good for the couple hours you're in there. Unlike most of the hot new restaurants today, La Grenouille sends me away becalmed, happy and satisfied. I don't mind spending $100 there on a dinner with that payoff. Labels: la grenouille, midtown, who goes there? The Hob Nob is a classic Wisconsin supper club that sits alongside Lake Michigan in a lonely stretch of rural highway between Racine and Kenosha. Is was founded in 1937 in downtown Racine by the Higgins family. In 1954, it moved to its current location. It is currently run by Mike Aletto and Anne Glowacki. Like all supper clubs, it serves things like steaks, seafood, prime rib, and Friday fish fries, along with old school cocktails, in a comfortable, homey, and hopefully old-fashioned atmosphere. 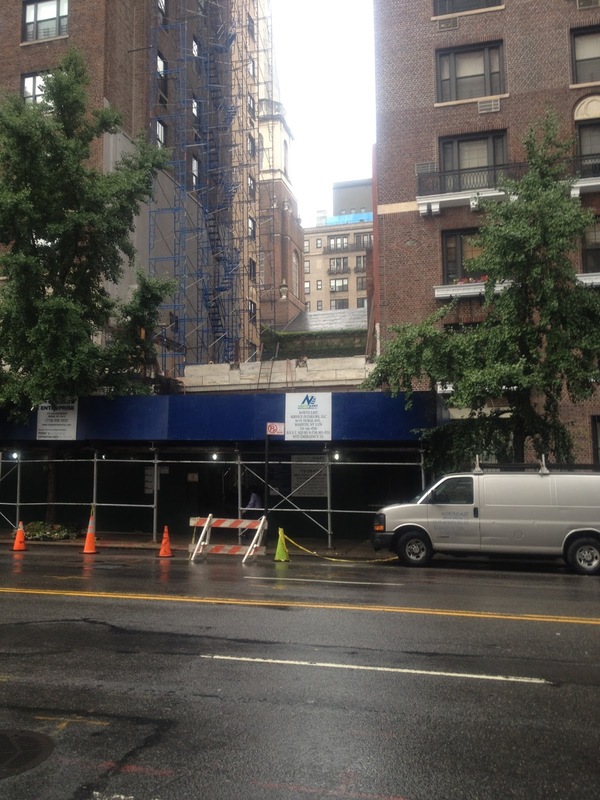 A reader wrote in in dismay last week to report that workmen were tearing down a one-story structure at 155 E. 79th Street between Lexington and Third that used to be an outpost of the once prominent New York eatery chain Schrafft's. He sent the above photo, which—sadly—was taken after the structure was on its way out. "This was a charming one story building, set between two residential buildings, that was a kind of white stone, art-deco castle," he wrote. "It was, I believe, built to be a Schrafft's, but had been an antique shop for many years. You can see it as a Schrafft's in the opening shot of the 1959 Doris Day film 'Please Don't Eat The Daisies.'... This little treasure should have been preserved." Mars Bar. Holiday Cocktail Lounge. Blarney Cove. O'Connor's. Now Jackie's Fifth Amendment. 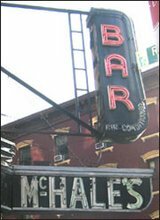 Another timeless, irreplaceable dive bar has found the new New York inhospitable to its kind. Jackie's, located on Fifth Avenue and 7th Street and armed with one of the best bar names in the history of mankind, is one of tony, stroller-ridden Park Slope's last regular, old man bars. I will pour its last bottle (it doesn't serve any beer on draft) on Sept. 14. The bar has been in the same family since the 1950s. 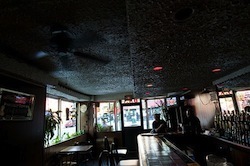 "The owner's health is deteriorating," a bartender told Gothamist. "It's going to be taken over by the pharmacy next door." 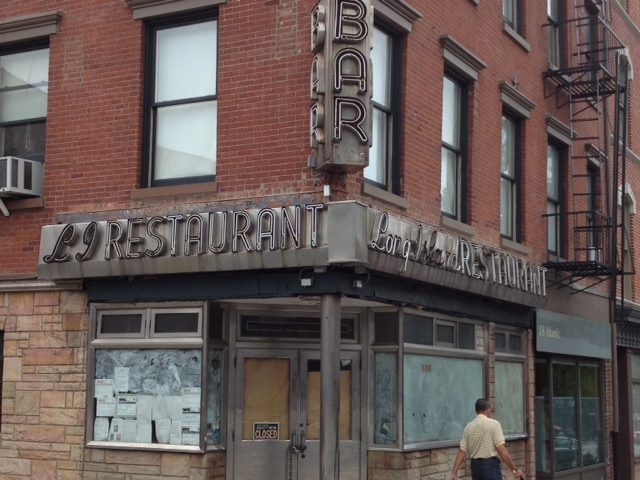 He added, quite correctly, "It's a shame to see these kind of bars leave the area, because once they're gone they're gone forever." Mastellone Italian Deli, a quiet, unassuming mainstay of old Italian South Brooklyn for 80 years, closed without notice on Aug. 1. As Brooklyn Paper reported, owner Vincent Mastellone had had enough, and couldn't convince his son to take over the family business. So he contacted the embattled owners of the nearby Pacific Green Gourmet Food and offered them the space. Pacific Green, located at Court Street and Pacific, is currently in dispute with its landlord, who wants to shove out the grocer and give the space to J. Crew. Nice of old Mastellone to think of another local indy vendor as he makes his exit. Lord knows, he could have easily courted offers from the big banks or Rite Aid. Housed in its squat, red-brick, one-story building, Mastellone never looked like much. In fact, it's facade was downright crummy. Only locals, and newbies who did a little prying, knew that this was one of the oldest businesses in the area. Mastellone—like Gloria Flower Shoppe, Monteleone Bakery, and Ron Jordan Natoli Photo Studio—is one of the Italian business that were once part of the Columbia Street commercial district, but relocated to Court Street in the 1960s when the construction of the BQE decimated that area. As a grocery, Mastellone was just OK. You could find all the usual Italian items, and a few imports that were more difficult to locate. (They had a brand of pasta I loved, and couldn't find anywhere else.) And the meat counter was full of graying cuts that looked like they should have been retired to the garbage pail a few days ago. It was the deli section that made the place special. It sold a delightful and delicious array are housemade Italian prepared foods. Locals knew it as a cheap outlet for satisfying and filling lunches and dinners. With it's death, residents or Carroll Gardens have one less place to by fresh mozzarella. 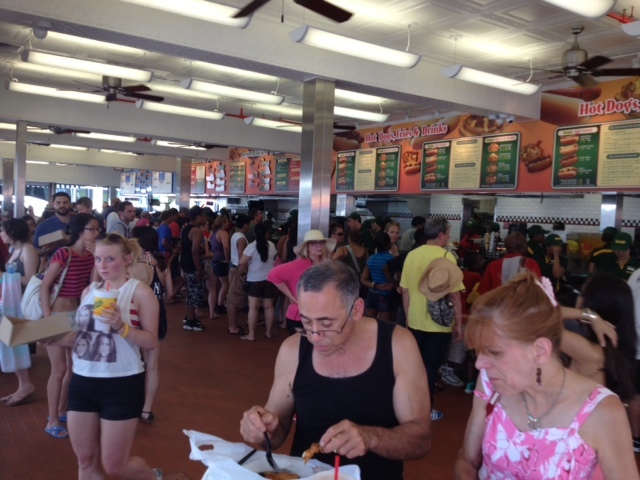 I visited the Nathan's Famous flagship store in Coney Island a few weeks back, determined to hate it. The iconic restaurant had been closed since being hit by Hurricane Sandy, and was further decimated by a fire in May. I expected the resulting renovation to be slick and anodyne, like much of the new and soon-to-come Coney. I was surprised by how much I liked what I saw. Let's be honest: What makes the Coney Island Nathan's great—aside from the hot dogs and fries themselves—is the iconic neon exterior. That's always been the case, and it is happily still intact. The interior of recent decades was always a study in cramped ugliness. Zero charm. 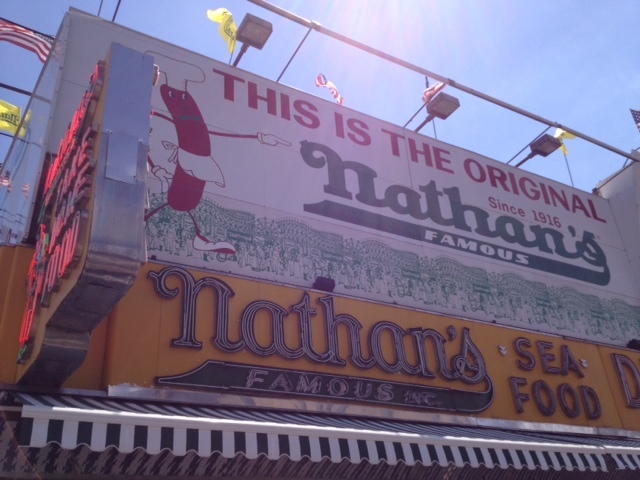 The new Nathan's has been redesigned with an eye toward spaciousness and efficiency. For the first time in long memory, I didn't feel dirty and claustrophobic upon entering. There was plenty of space for the throngs and many cashier lines. I waited five minutes for my food, instead of the usual twenty. There's also a new raw bar. A marked improvement. A reader informed me that D'Aiuto's, the bakery on Eighth Avenue and 30th Street that has been open since 1924, and is know for its cheesecake, will close its doors for good on Sunday, Aug. 11. This, directly from members of the staff. This demise doesn't come completely as a surprise. A couple years ago, signs advertised the D'Aiuto building as being for sale "by owner." D'Aiuto's was one of those New York institutions that soldiered on year after years without garnering too much attention. It's claim as having "The Best Cheesecake on Earth" probably inspired more head-scratching than nods of agreement. In the 1970s, Aiuto's had five storefronts (the flagship was at 8th Avenue and 52nd Street) and a franchise in Boston. By the end of the century, the company's long, slow demise began. According to Capital New York, "Under Mario's stewardship, the business hit $20 million a year, but in 1998, D’Aiuto sold the name 'Baby Watson' to New Jersey-based Mother’s Kitchen, one of the largest cheesecake manufacturers in the industry. Then, around 2006, Mario’s health began a slow decline. The bakery warehouse and most of the storefronts had closed, leaving only the 8th Avenue and 30th Street location. Mario’s wife, whose career at one point was managing nightclubs in Manhattan, took over the business for a few years, but struggled to take care of both Mario and the store." Eventually, with declining fortunes, the building was put up for sale. The business and building was apparently bought by one Ajay Patel in 2012, who was born in Nairobi and grew up in India and England. He took over D’Aiuto’s, promising to keep the business as is.